Nigeria, Ghana and Cameroon, have been listed by a CIES report, as football cheats. The Switzerland-based Football Observatory, explained that these African countries are yet to realise their full potential, because the youth set-up is not clean. It also stated that despite fielding the youngest players in 2015, the three countries will continue to struggle on the big stage. 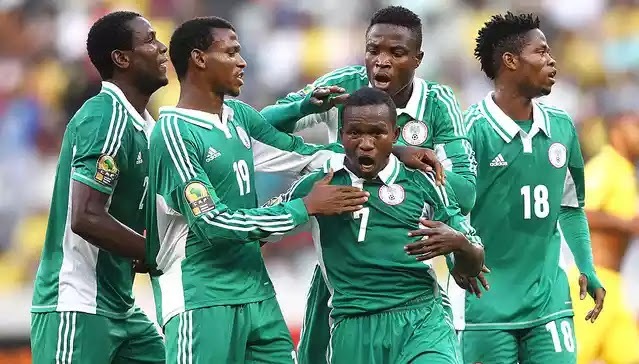 The report which was published on January 12, listed Nigeria, Ghana and Cameroon as teams that fielded the youngest players among 50 sampled A national teams in 2015. The table had 24.7, 25.1 and 25.3 years respectively for the three teams. experience of players fielded, the Scots did not manage to qualify for the final phase of the European championships. It is no doubt timely to carry out an in-depth analysis to understand the reasons for multiple failures over the past decades. “At the other end of the scale, three African teams fielded the youngest players on average: Nigeria, Ghana and Cameroon. However, this result must be analysed carefully insofar as footballers born in Africa tend to be older than they claim to be. Lying about one’s age is a common practice that implies a competitive advantage in youth categories. However, in the long term, this strategy is counterproductive as it does not provide optimum conditions for the full development of talent. This is one of the reasons for which the real potential of African squads remains untapped.